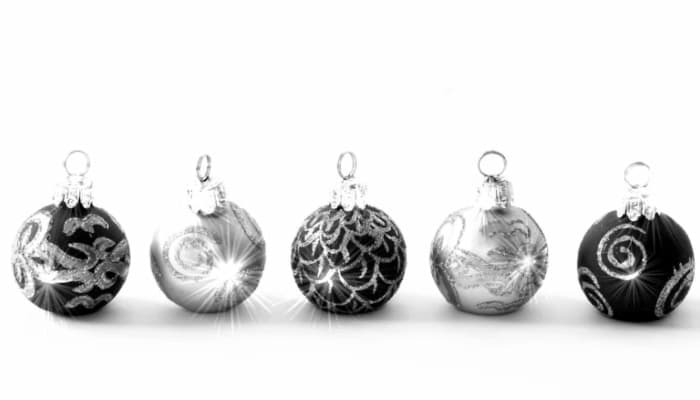 This lovely array of five black and silver baubles are truly amazing. They practically sparkle and gleam off the page! Each of the baubles are in a lovely sequence of patterns, with the centre piece having a unique e Christmas cards for business design all of its own. The black and silver colours really stand out and the plain silver baubles looks simple and chic. We also offer this lovely image as a background page for your additional message you wish to send to your clients this year. Together they work beautiful to provide a warm festive message. Please log onto our website today and take a look, they really work incredibly well together. Alternatively you may decide to add variety to your card and have this as your front image and a different image for your background pages. At Ecard Shack, we have so much variety to choose from and you can practically tailor make your own ecards with various designs and images. You can add whatever messages you like to your customers, along with a lovely festive music track from our wide selection. Why not add a company logo or upload staff signatures to your card for a really personal touch. Choose Ecard Shack for your Christmas ecards for business this year.